Chickens thrive on interactions with their feathery flock-mates and humans alike. They are active, talkative, playful, curious, and last, but certainly not least, highly intelligent birds. Chickens live and interact within an egg-ceptionally well developed social hierarchy known as the pecking order. Born with an innate capacity to create this hierarchy, chickens begin pecking out the pecking order when they are just wee fuzzy chicks. Simply egg-straordinary! The top chook is typically a male who is unequivocally larger than the rest of the brood, but in the absence of a rooster in a flock, a hen will gracefully rise to the position. The Top chook is usually the strongest, but not necessarily the largest chook in your flock. Surprising? Perhaps, but a rather feisty domineering personality can predispose an individual chook, male or female, to seize this position. Chickens, both male and female, who are raised with one another will work out their pecking order by charging toward the other and literally bumping into their feathery sibling in an attempt to put it in its proper place. Chooks will also peck, chase and create a bit of a scene on the roost to establish their position. It’s all Greek to me! Let’s talk a little bit about the words alpha and beta. Do these words ring a bell? Alpha simply means first or top chook. Where there’s an alpha chicken there is also a beta chicken, or 2nd in line in the pecking order and so on down the line. Beta chickens may at times share the duties of top chook; however, a fine line exists between sharing duties and overstepping boundaries. Any time a beta chicken over-pecks the boundaries, trouble will most likely ensue. Typically though, a quick peck from the top chook will reestablish order once again. The single rooster, in his top chook role, is the leader, hands down. He is strong, loyal and confident and takes his role very seriously. He will take care of his flock, warning the ladies when danger is near. The single rooster may also choose a particular hen with which to mate, oftentimes being quite gentle with her in the process. He will also ensure that she always gets the best food to eat. Chivalry is certainly alive and well in the backyard chicken flock! Fatherhood finds this top chook in a very involved role, to the point of offering guidance to chicks during free ranging. This rooster will also peck his authority as top chook should any flock mate, beta or otherwise attempt to replace him. In flocks that have more than one majestic male, the honors go to the strongest rooster on the roster. 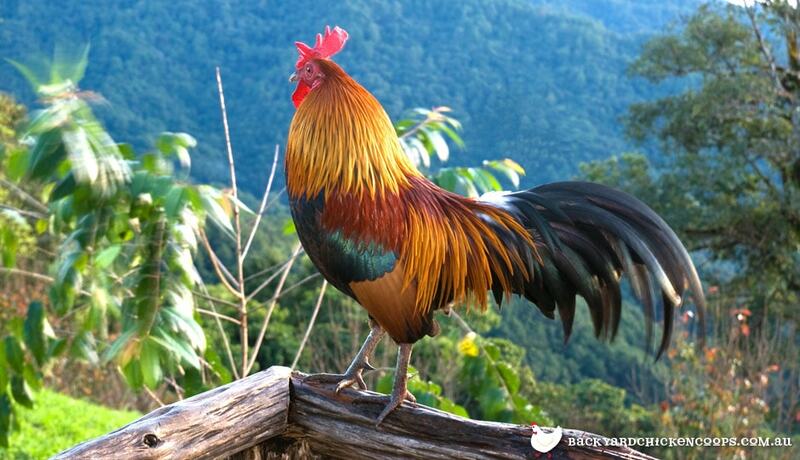 This rooster is also known as the alpha rooster. Alphas are strong and diligent in their duties. These roosters are typically on the clock 24/7 and will continuously remind all others of their status as king of the flock. As he ages, his strength will no doubt diminish and a younger, more robust contender will take his place. The same holds true if the alpha rooster becomes weakened by illness. If there are only two roosters in your flock, there should be no aggression as roles reverse due to the fact that the once incumbent rooster is now the weaker bird. However, if you have more than a couple of manly men, they will duke it out and exhibit the typical “working out the pecking order” behaviors such as crowing, chest bumping, pecking and chasing until the weaker birds back down. Now, let’s suppose that your flock is solely made up of eggs-quisite ladies. In fact, many backyard chicken flocks are comprised of all females. Thankfully, hens are quite able to lay LOTS of delicious eggs without the aid of any gentleman suitor. In an all-female flock, one of the ladies will assume the honors of top chook. This alpha gal will act accordingly within her flock. Yes, there are also alpha and beta hens-their behaviors and actions mimicking that of their male counterparts. The pecking order in a ladies only flock is much more subtle than in a rooster led flock. Sometimes it can be a bit difficult to decipher just which lovely lady is queen chook. It may require egg-stensive research and observation on the part of the chicken keeper. Or, in other words, spend as much time visiting your flock as you’re able. There are several benefits to being the top chook. First and foremost, the top chicken in the pecking order eats, drinks and samples any tasty treats being offered first. The top chook also has first choice of nesting quarters. There always seems to be a favored nesting box that may often accommodate a clutch of hens. And, if you’ve ever witnessed this share and share alike phenomenon, it can get a tad chaotic. If your top chook is a regal rooster, he enjoys the benefit of mating with the hen of his choice. If you have more than one male in your flock, the one who is top chicken gets to mate first. As the name suggests, these chooks are neither at the top of the feathery hierarchy nor are they at the lowly bottom. Middle of the flock chooks are every chook in between. Some are happy to maintain this status quo eggs-istance, while others are warming up their beaks in anticipation of acquiring a coveted higher position in the pecking order. There really is no typical middle chook. Some are loners who strike out on their own each day during free range time. Some have a feathery BFF to pal around with. There are leaders and followers, noisy Nellies and soft clucking Sadies, “coop sweet coop” bodies and energetic egg-splorers. Although minor fluctuations in the pecking order may occur now and then among these middle of the flock chooks, it’s really a good place to be a chicken. With little pressures to protect both their position and their flock and no bottom of the pecking order struggles to get food and drink, the feathery middle child is a pretty good place to be in the coop. Typically, the hen pecked chicken is the most submissive of your flock. She may just be naturally shy and skittish or just the victim of unwanted pecking from more assertive flock mates. While the lowly hen pecked chicken at the bottom of the pecking order may be last in line to eat and drink, roost and receive tasty treats, this bird typically has one priority-blending in with its coop mates while keeping its distance from those higher up in the pecking order. This strategy usually keeps the bird safe from any unwanted attention. This is not necessarily a bad position to be in because no feathery sibling is going to challenge this chook for its bottom position. However, this hen pecked chook may still endure more than its share of pecking and may need help from time to time. Adding egg-stra roosting bars in the chicken run offers this lowly bird egg-stra escape routes if it finds itself the target of too much pecking. 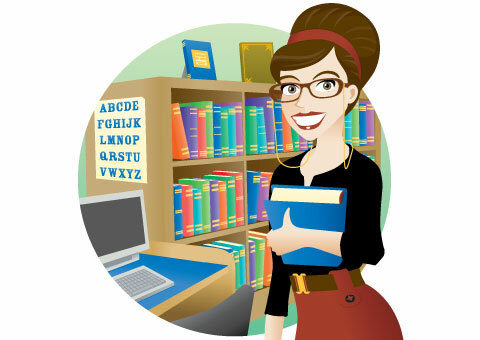 If wounds do occur, treating them with a touch of Iodine solution will help the healing process and discourage the other chooks from aggravating your poor girl's war wounds. Chickens can, at times, be bullies. Now, while a certain amount of minor pecking, chasing and asserting ones authority is normal amongst your chooks, bullying should never be tolerated. If you have a top chook or any chook for that matter that doesn’t fight fair and causes bloodshed, you need to remove that chicken from the coop as a feathery time out, so to speak. A few days alone in a crate or smaller coop should work wonders-when this chicken returns to its original coop, it will have lost its place in the pecking order and will need to work it out all over again. This action usually resolves any bullying tendencies; however, if said chook continues to be aggressive toward its flock mates, perhaps it’s time to consider housing it alone permanently or finding it a new home altogether. It warrants mentioning here that sometimes alpha roosters will challenge their keepers. If you do find yourself in a situation such as this, it’s very important to remember to stand your ground. Although, it may be quite scary to have a rooster coming at you, try your best to remain calm. Don’t run. If you feel the need to do something, chase him just as he would do to a beta chicken who had challenged him. Or, try to grab him and gently, but firmly hold him on the ground with one hand covering his wings and the other hand holding down his head until he’s calmed down. Repeat this action every time he attempts to challenge you and hopefully he will learn his place. The pecking order status quo generally remains stable for the most part. There are; however, some situations that could rock the coop. When the top chook becomes older and weaker or succumbs to illness, when the top chook dies, when new birds are introduced into the existing flock or when those lower on the totem pole of the pecking order become ill or die. All of these situations will definitely spark the interest of the other flock members. While some will only aspire to move up a level or two, others will have their eyes on the prize of top chook. The most common reason for the pecking order to become disrupted is overcrowding. Chickens living in overcrowded coops become stressed. This stress manifests itself in disruptive behaviors such as pecking at siblings. Simply put, chooks need their space. Thankfully, we here at Backyard Chicken Coops have eggs-actly the right coop for your flock’s needs. Our super spacious coops offer great accommodations for any size flock-our cozy Cluck House, terrific Taj Mahal, perfect Penthouse and magnificent Mansion are sure to make your flock flap-happy! What is the Backyard Chicken Keeper’s Role in the Pecking Order? Even though you generally don’t sport feathers, your dear chooks may view you as a flock member. You are actually the most important flock member. 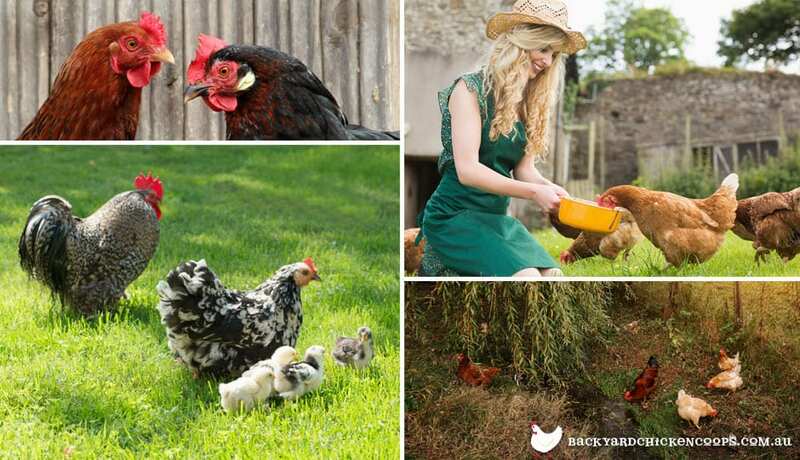 Every backyard chicken keeper is responsible for maintaining a peaceful coexistence within their flock. This is easily done! Daily visits and observation will keep you abreast of the general goings on of your flock. And, as you get to know your chook’s individual personalities and quirks, you’ll be able to spot any potential trouble a mile away and take the steps necessary to prevent it. Knowing your chooks well is the key to keeping a healthy happy flock with a peaceful pecking order!